Gov. 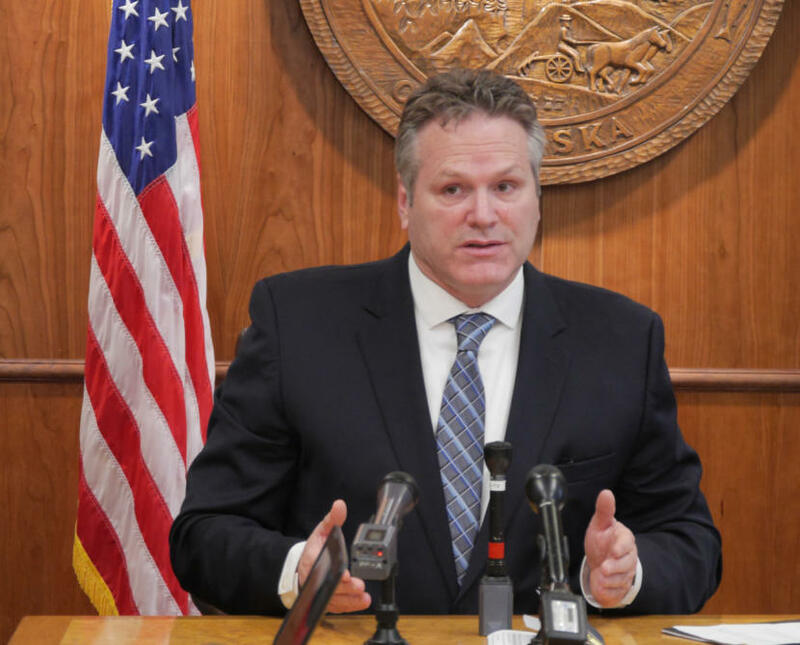 Mike Dunleavy unveiled his proposals to amend the Alaska Constitution Wednesday. He would require public votes for any new or increased taxes, as well as for changes to permanent fund dividends. He also would limit state spending increases. Dunleavy said the proposed amendments would require the Legislature and voters to be on the same page in planning for future state budgets. “In order for us to get a permanent fiscal plan, a durable fiscal plan, we want to involve the people in the front end of the creation of that plan,” he said. The dividend amendment, Senate Joint Resolution 5, would enshrine the PFD formula currently in state law in the constitution. Governors couldn’t veto PFD funding, and the Legislature couldn’t lower it without a vote of the people. PFDs have been reduced the past three years. Another amendment, Senate Joint Resolution 4, would require a popular vote on any new or increased taxes. “We also want to assure Alaskans that they won’t be subject to taxes at the whim or will of certain legislators or certain governors, or combination thereof,” Dunleavy said. The third amendment, Senate Joint Resolution 6, is more complicated. It would essentially put a cap on how much the Legislature can increase spending each year. Any increase would be limited to half of the combined change in inflation and the state population, or 2 percent — whichever is less. Dunleavy said the amendments would effectively limit what the Legislature could do with the budget. And he said if the state adopts the amendments, it would stabilize the budget. To pass, the amendments would require support from two-thirds of both legislative chambers this year or next, and from a majority of the voting public. The proposals may face a difficult reception in the Legislature. North Pole Republican Sen. John Coghill said the Senate majority will be open to discussing the proposals. Coghill was referring to making the dividend a fundamental right, on the same level as freedom of speech. He said that could create practical problems. He’s also concerned the three proposals would leave the Legislature without flexibility during an economic downturn and would make budgeting less deliberative and more like a campaign. 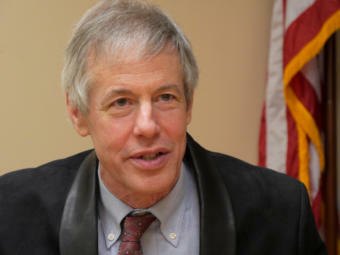 Anchorage Democratic Rep. Matt Claman is skeptical of the proposals. Dunleavy is expected to propose up to $1.6 billion in state spending reductions on Feb. 13. He has not proposed putting the spending cut to a public vote. The amendment proposals have been referred to three Senate committees — state affairs, judiciary and finance.